In this third edition of the GPQB podcast, Ben and Chris discuss strategies for how to improve as a player. We start off covering tips for novices, then move on to discuss how to improve as a role player with a focus on writing down clues and learning niche subjects. After a brief consideration of how even veteran lead players can improve, we briefly discuss the results from the Delaware Valley tournament. Click here to listen to or download the podcast. As always, let us know if you have any feedback on the podcast or ideas for a future podcast episode. Home team Delaware Valley A finished in 3rd place, the highest ranked of any Pennsylvania team, by winning a thrilling match as underdogs over Manheim Township A. 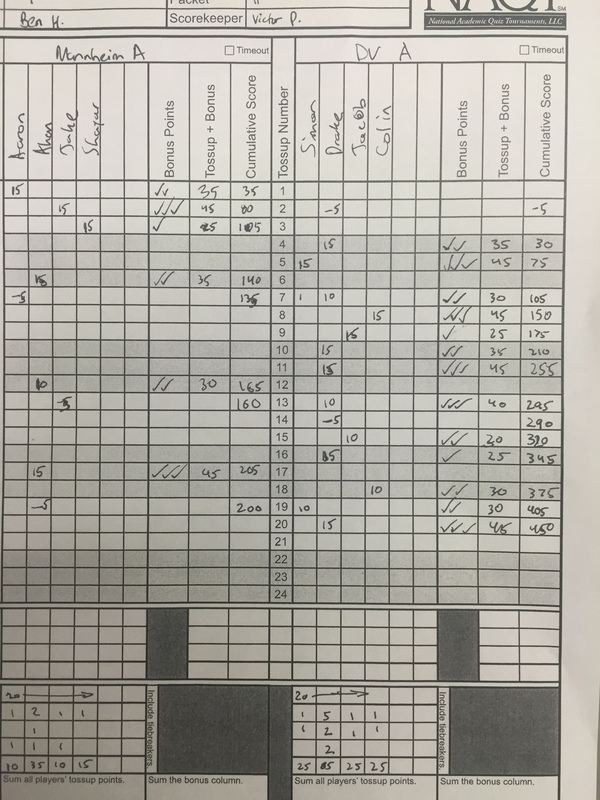 Final Score: 450-200. It was truly a four man effort with all their players throwing in a couple buzzes. Drake Eshelman in particular had a monster round (five powers, two tens). Manheim Township also gave a strong effort with some clutch buzzes of their own. Of the first 10 tossups, nine were powered. The two teams had nearly identical stats across the day, so it’s yet to be seen if this keeps up. 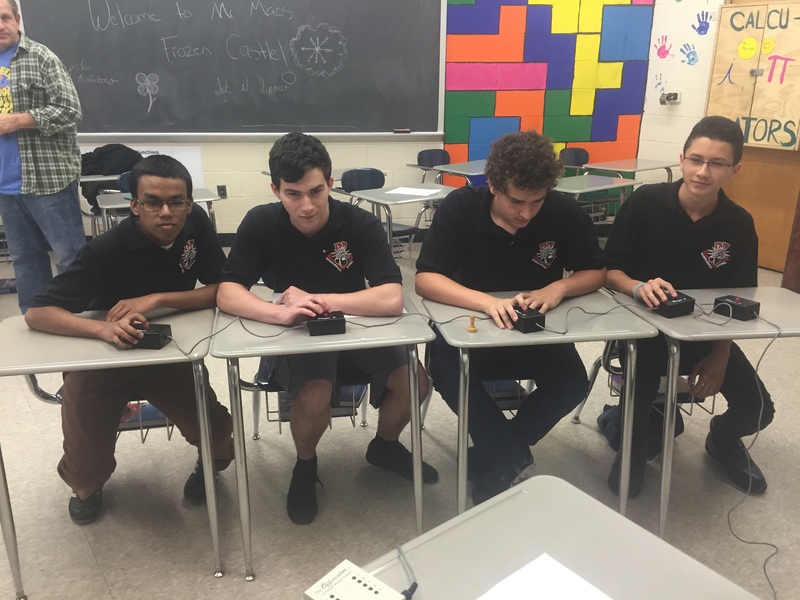 Nonetheless, this was an instant classic match in PA quizbowl history. Also of note were some of the newer teams to the circuit. I got to read a number of matches for Lakeland High School, out of the Scranton area. They were quite solid, and showed a lot of good knowledge of the stuff that comes up in the high school curriculum. While they’re not as familiar with the canonical stuff outside of typical high school classes (lit, art, philosophy), I think that with some directed study in those areas they could be a good candidate to make some noise in the spring and future seasons. Wallenpaupack High School also came to their first invitational, and did nicely for a first time entrant. They seemed enthused and I hope we see them at more events soon. Long time NHBB participant Wyoming Valley and long-absent-from-the-circuit Moravian Academy also competed, though unfortunately I didn’t see them on the buzzer (hope to soon!). Overall, this was a great start to the main tournament season in PA with lots of old, new, and somewhat familiar faces. Many of these teams will be competing in Upstate New York as well, and we will try to cover those events best we can when they involve PA teams. Manheim Township A, ready for action. 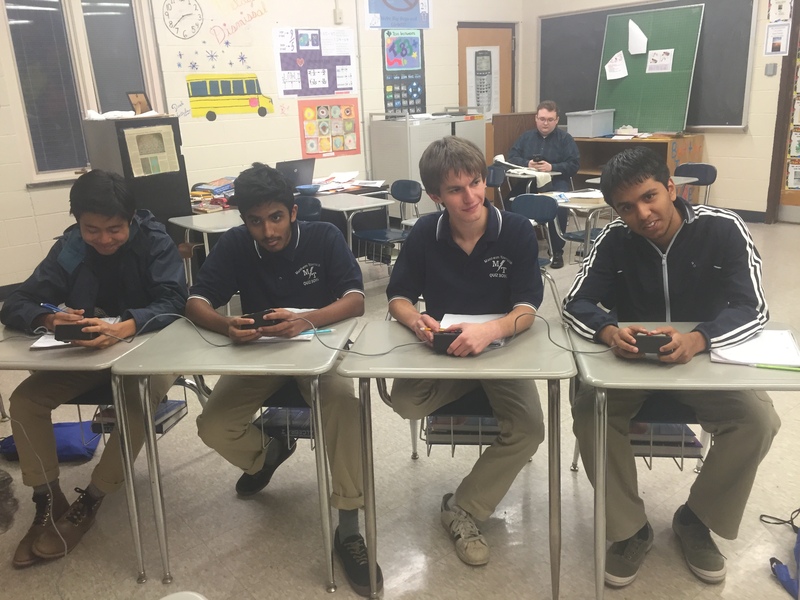 From L to R: Aaron Zuo, Ahan Patel, Jake Deerin, and Shayar Bhattacharjee. In the second episode of the GPQB podcast, we discuss outreach, the process of disseminating information about quizbowl to schools and teams. As we discuss, a lot of teams in quizbowl do outreach (whether they realize it or not) when they invite other teams to tournaments and it’s important that everyone in quizbowl practices good outreach to help quizbowl as a whole. We also talk about who to contact at schools, how to phrase emails, what kind of responses to expect, and other outreach topics. You can listen to Episode 2 here. Comments and suggestions are welcome! Let us know what you think. For our third podcast, we’re aiming to do an interview with a Pennsylvania quizbowl personality. Who will it be? Tune in in 2 weeks to see.